Journey with Jonah: What's More Important? Dear all in South Belfast Methodist, Well, made it to Nineveh at last. Don’t know about “Wish you were here,” but I wish I wasn’t. It’s every bit as bad as its reputation... even worse than Belfast. And it’s huge... I’ve been trekking across it on foot all day (the public transport is non-existent... that’s government cutbacks for you), and I still haven’t got to the city centre. But I think I’ll set up stall here, and let them have it. See you soon. Should be finished here in forty days. 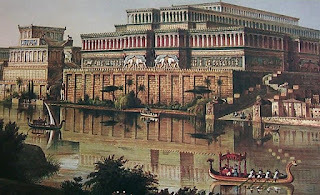 Nineveh should be finished in forty days too. 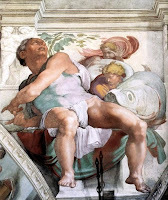 Yours in God’s service, Jonah, son of Amittai.